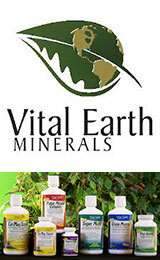 Polysaccharides are complex long chain carbohydrates that provide very important dietary elements for human nutrition. Some can be used as potential sources of energy, whereas others can provide anti-inflammatory and immune modulating properties. While the term "polysaccharide" can be used in a broad sense to define any sugar molecule that has a glycogen bond, there are basically two main classifications based on variations of monosaccharides present: storage polysaccharides and structural polysaccharides. 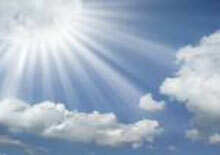 In plants these elements serve as both an energy reserve, in the case of storage polysaccharides, and as a the structural framework of cell walls in plants and the skeletons of animals, in the case of structural polysaccharides. It is mostly the structural varieties that we are referring to here on this page. 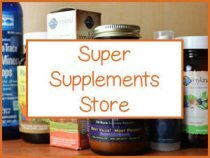 These are plant-based dietary sources derived from certain medicinal mushrooms, seaweeds and other superfoods that are known for their different molecular backbones and often complex level of chain branching. The word "polysaccharide" comes from the Greek language meaning 'many' (poly) and 'sugars' (sacchar). All of these long chain sugars are polymeric carbohydrates composed of monosaccharide molecules bound together by glycosidic bonds and range in structure. Depending on the classification, they can be linear or highly branched. These substances can be comprised of as little as ten monosaccharides and up to several thousand chain arrangements. They are divided into two categories based on the type of monosaccharides they contain. 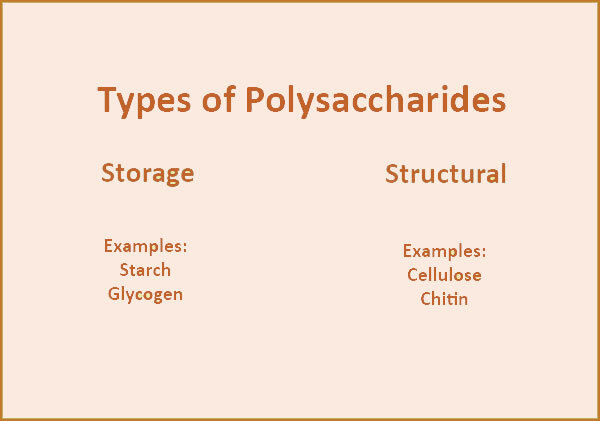 Storage Polysaccharides - These are composed of one singular type of monosaccharide. They are called homopolysaccharides or homoglycans. This category includes complex carbohydrates usually in the form of starch and glycogen. Some examples of storage polysaccharides include aloe, grains, corn, potatoes and some fruits like lucuma. Structural or Non-Starch Polysaccharides - These are composed of more than one type of monosaccharide. They are called heteropolysaccharides or heteroglycans. This category includes cellulose, chitin and encompasses a wide variety of plant-specific polysaccharides such as beta-glucans and alginates. Non-starch polysaccharides are a component of dietary fiber. 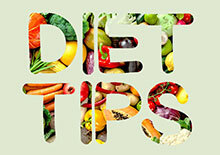 The varieties we are discussing are forms of "soluble fiber" which disperse in water. They are fermented in the colon, offering prebiotic effects as a food source for intestinal microbiota. In other words, these polysaccharides do not undergo the same process of digestion as other foods and are chiefly metabolized by gut flora not by digestive enzymes. 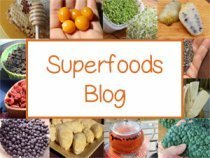 In some cases the term "fiber" is somewhat inaccurate as certain structural polysaccharides are not actually fibrous. Simple sugars or storage polysaccharides are normally quite sweet compared to structural non-starch variations. This is because the longer and more complex the sugar chains, the more bitter they tend to become. 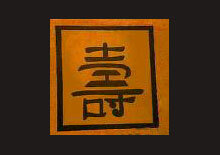 The Ganoderma lucidum polysaccharides found in reishi mushroom, for example, produce a powdered hot water extract that is quite bitter tasting. This is also the case with a number of herbal adaptogens. Polysaccharide-rich plant foods and mushrooms have been utilized for centuries by cultures around the globe for their dietary and medicinal benefits. Certain polysaccharides are particularly noted in the scientific community for their positive influence on immune system function as well as their inhibitory effect against inflammation and tumor growth. In one review analyzing the effects of LBPs, polysaccharides specific to the goji berry, it was stated that "Many naturally occurring polysaccharides have been reported to be potent immunomodulators. These polymers can influence innate and cell-mediated immunity through interactions with T cells, monocytes, macrophages, and polymorphonuclear lymphocytes." The dietary roles of structural polysaccharides in human nutrition and their immunomodulating attributes are largely dependent on a number of factors, the main one being the length and frequency of branching side-chains or complexity of the overall molecule. The beta-glucans, found in many medicinal mushrooms, are known to be highly structured compounds with a different molecular weight, shape and construction, which in effect dictates more diverse biological activity. 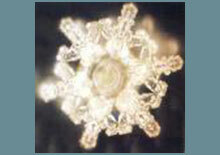 They are often called "biological response modifiers" or "host defense modifiers" for this reason. In some scientific research it was stated that "These mushrooms contain biologically active polysaccharides that mostly belong to group of beta-glucans. These substances increase host immune defense by activating complement systems, enhancing macrophages and natural killer cell function." Mushroom beta-glucans are linked by 1,3 glycosidic bonds with 1,6 branches, whereas the beta-glucans found in common cereal grains, like oats, form a simple chain-linking structure. These substances, as we mentioned, are absorbed through the colon and move from the intestinal walls into the lymphatic system. When in the lymph, these highly complex ß-glucans interact with macrophages to activate or suppress immune response. They are also able to modulate mucosal immunity of the large intestine, an essential part of immune functions and healthy gut flora. Several studies have also reported the benefits of ß-glucans for use as an antiseptic, antioxidant, chemoprotective, antitumor and anti-inflammatory agent. Some polysaccharide types, like mucopolysaccharides (also called glycosaminoglycans) contain high amounts of mucilage. These are viscous substances that produce a gelatinous bulk material when soaked in water and are helpful for modulating intestinal inflammation as well as providing bowel regularity and healthy stool. They are likewise beneficial for soothing the stomach and coating the intestines, offering protection against ulcers and irritable bowel syndrome. In addition, they can also function by transforming the chemical composition of contents in the GI tract and can change how nutrients are assimilated. Usually foods containing high amounts of mucilage also tend to suppress the appetite by providing a feeling of fullness. Mucopolysaccharides, because of their ability to attract water, when soaked before consumption, can be very lubricating to the body and especially healing to inflammation in the joints and connective tissues. 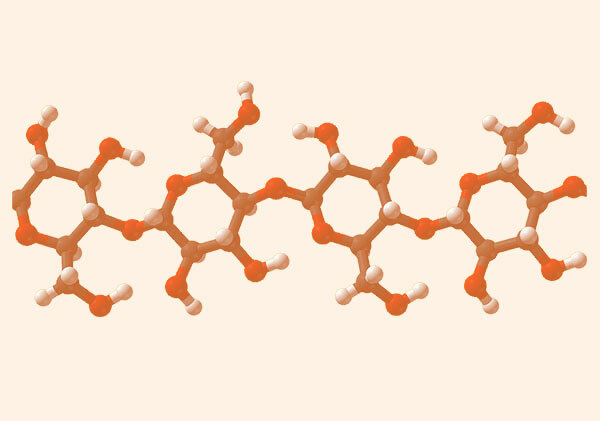 Other structural polysaccharides are also found to be helpful for treating joint issues. The popular dietary supplement known as Glucosamine, similar to the name "glycosaminoglycans", is actually created from the polysaccharides found in chitosan and chitin, usually derived from the exoskeletons of crustaceans. 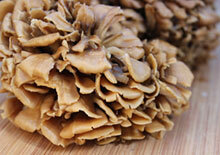 These substances, however, are also found in the cell walls of medicinal mushrooms. Dietary storage polysaccharides composed of long chain sugars are not only nutritional foods for a health promoting diet, they provide a long burning fuel source that is slowly metabolized. This attribute makes them particularly beneficial to those with type 2 diabetes as they do not enter the bloodstream as quickly as simple short chain sugars. Most non-starch long chain sugars offer demulcent qualities that are moisturizing and nourishing to the epidermal and epithelial tissue helpful for promoting healthy supple youthful-looking skin. High mucilage producing varieties, like many of the seaweeds, are used in many commercial body-care products and extensively used in cosmetic skin treatments. 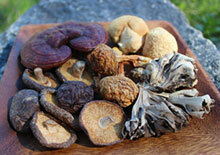 Medicinal Mushrooms - The polysaccharides found in medicinal mushrooms like reishi, chaga, maitake and coriolus are exception sources of highly structured beta-glucan long chain sugars, also referred to as biological response modifiers. Seaweeds and Microalgaes- Many of the seaweed and microalgae varieties, like kelp, irish moss and blue green algae have high amounts of structural and sulphated polysaccharides like alginate, lamarin, agarose, fucoidan and carrageenan. Producing viscous compounds, they are highly utilized in the food, cosmetic and pharmaceutical industries for a number of uses. Adaptogens - Many of the immune system modulating adaptogen tonic herbs contain substantial amounts of polysaccharides. 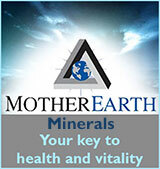 This includes herbal substances like ginseng, astragalus and goji berries. Flaxseeds, Chia seeds, Psyllium and Fenugreek - These seeds are composed of mucilage and are forms of soluble dietary fiber that when soaked produces a gelatinous texture helpful for promoting regular bowel movements and lubricating the intestinal tract. 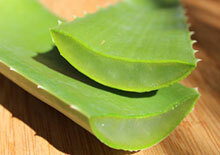 Aloe Vera - Aloe contains polysaccharides like acemannan, glucomannans and mannose in the gel portion of the leaf. This gelatinous material is extremely beneficial as a soluble fiber for its soothing effects on the GI tract and also has been studied for its anti-inflammatory and tumor inhibiting properties. Noni Fruit - This tropical fruit is full of polysaccharide-rich nutrients, like 6-D-glucopyranose penta-acetate, and is well-known for its immune modulating effects. Bee Pollen - The polysaccharides in bee pollen vary depending on flower source, but can offer a number of storage as well as non-starch polysaccharides in its chemical makeup. Natural Sweeteners - Some sugar alternatives like yacon root syrup and lucuma contain long chain sugars in the form of storage polysaccharides. These are components that provide a better mix of low glycemic complex carbohydrates, causing less of a spike in blood sugar compared to simple sugars. While polysaccharide-rich foods are safe to consume for most people, you should consult your dietitian or healthcare provider for specific dietary advice if you are diabetic or have serious health conditions.